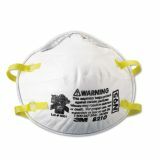 Offers protection when the job requires work around tiny particles. 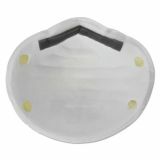 Adjustable nose clip ensures a more secure seal against the face. At least 95% filtration efficiency. Note: A minimum quantity of 48 must be ordered, and in units of 8 thereafter. 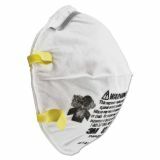 3M Lightweight Particulate Respirator 8210, N95, 20/Box - Particulate Respirator provides basic, economical protection for wearer while grinding, bagging, sanding, sweeping and performing other dusty operations. Not for use under such adverse conditions as high heat and where sparks are present. 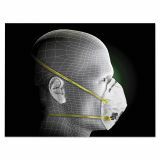 Features adjustable noseclip. 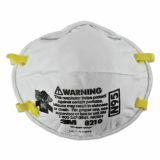 NIOSH approved. Suggested for grinding, sanding, sweeping and other non-oil based operations. 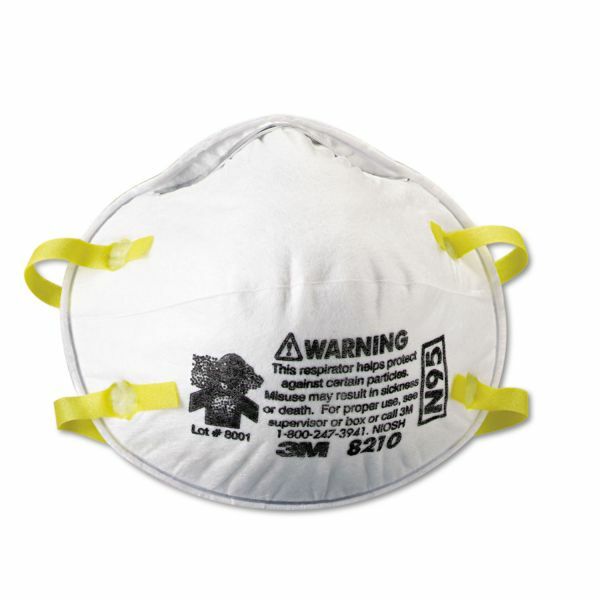 IMPORTANT: This 3M product must be used in accordance with OSHA regulations, warnings, and limitations that accompany each item.